Going nowhere fast in Bangkok. Photo by pchweat. 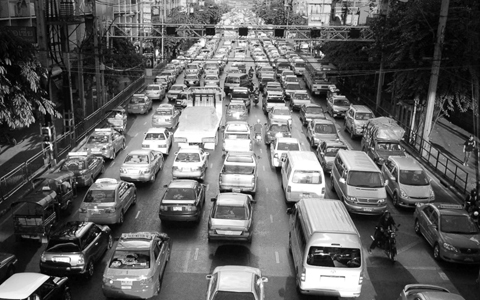 The human side: “Traffic in Thailand’s capital snarls with such ferocity that hundreds of women over the past few years have been forced to give birth in cars.” Police are now trained in midwifery, she reports. To watch a video about Bangkok’s train market, click here.